So. One of the awesome things about being so close to London is that there is a strong likelihood that some cool bands will be playing. But one of the most serendipitous things of this trip to Europe for work was that one Jack White III scheduled a show in London during my time at the Uni of Warwick! Now, you all know my obsession with all things Jack White related. Ever since I saw a fledgling White Stripes in Melbourne back in 2000, I have been an avid disciple. So you can imagine my excitement. Sadly, the show, which was originally scheduled for a Saturday (ideal when staying an hour out of London), got moved to a Thursday night, so it had to be a quick trip to London rather than a weekend. But who cares? It’s Jack Freakin’ White! So after work I jumped on a fast train to London. 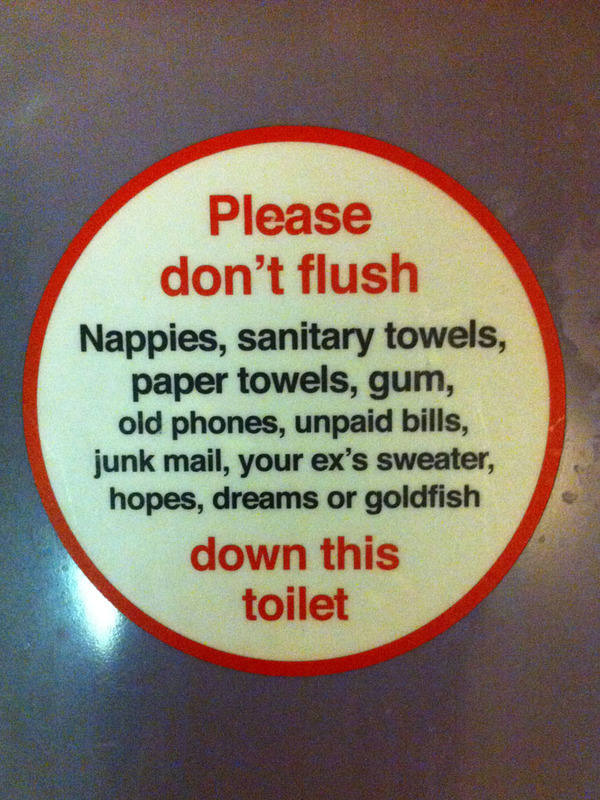 Good to see the Virgin humour is translated to their trains too. I made sure to keep my dreams in my pocket. In no time I was in London and tubed my way to Hammersmith, my home for the evening. Dumped my bag in my hostel and it was straight to the Apollo. I was in the venue in no time and settled in for the evening. After a very earnest bunch of angry youngsters who were support, it was Jack White time! This was my 12th time seeing Mr White in his various incarnations, and outside of an epic 2 hour show from the White Stripes back in 2004 that will always have that special place in my heart, this was the finest I had ever seen him. This was a close to 2 hour set of songs from across his whole career, played with such rawness and passion from Jack and his band, that I was just blown away. I was a little worried going in, as sadly I find his latest album Lazaretto arguably his weakest album from his oeuvre, however he only played the songs I dig from that album and supplemented them with amazing song after amazing song, culminating with an epic Seven Nation Army. So yeah. I don’t think I can really do it justice. Just when you think that gigs are just a little routine, you go to a show that surprises you and blows you away in all the right ways. Thanks Jack.